Check out the highlights from the UFC 216 post fight press conference. Today’s “UFC 108: Evans vs. Silva” pre-fight press conference takes place today at the MGM Grand in Las Vegas, Nev., at 1pm PT / 4pm ET, and will be available in a live video stream here at www.promma.info. UFC 108 features a light heavyweight bout between former champion Rashad Evans and Thiago Silva, who are battling it out to see who gets the next shot at the title. Both fighters have only one loss on their record, and it is from the same man, champion Lyoto Machida. 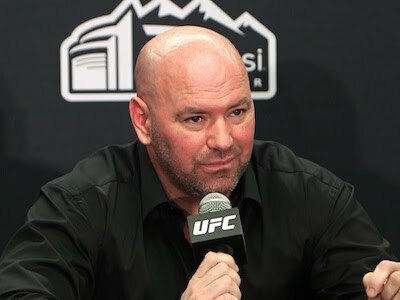 Also on the card, is a welterweight match-up between Paul Daley and Dustin Hazelett, Joe Lauzon vs. Sam Stout, Jim Miller vs. Duane Ludwig, and Junior dos Santos vs. Gilbert Yvel.